But hurry! This amazing flash sale is live only until 11:59pm on Nov. 6th! And then this amazing bundle will be gone FOREVER! 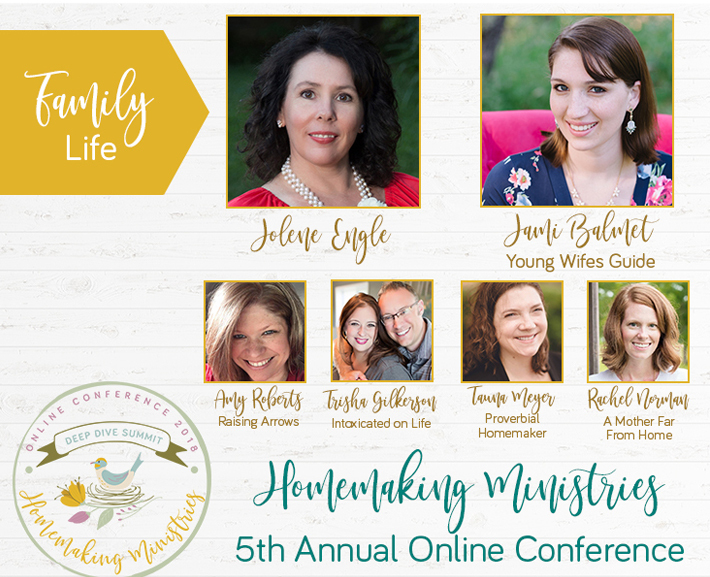 You may have noticed a big thing happening this week – it’s called The Ultimate Homemaking Bundle – and it’s everywhere. A lot of my blogging friends are sharing about it this week and every year, I reserve judgement on it until I get a chance to thoroughly look through it. I’ll be honest – some years I think the bundle is a fantastic deal and other years, not as much. The past two years I was more on the fence about it. But there are several high value items in particular that I am very excited about in this bundle and so my tune is a little different this year. For the 2018 bundle – I think it is 100% worth it. Of course, it won’t be a perfect fit for everyone. But I am excited about several of the items inside the bundle this year. So sit tight – we are going to go through a full review of the 2018 bundle so you can decide if it’s worth it or not! The bundle is BACK for a FLASH sale for a very limited time until Tuesday November 6th. It will be GONE after that (for good)! 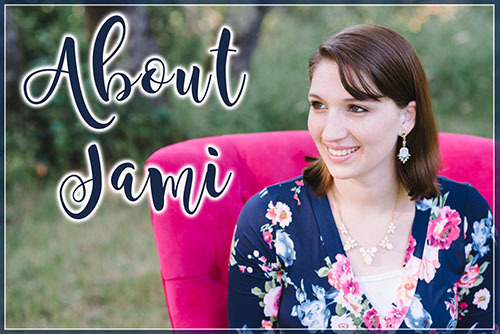 Along with eCourses, eBooks, printable packs and more…you will also get several BONUS items mailed to you including Scripture art prints, organic makeup and more! The bundle is OVER very soon: So jump over and get your bundle here. Every year I keep getting questions about it so I decided to jump in today and let you know my opinion on the bundle – and give you some more information about it so you can make an informed decision on whether it’s right for you. Let’s get one small thing straight first: I AM sharing my affiliate link with you in this article. IF you decide to purchase the bundle through my link, I DO earn a percentage of the purchase price. However, please know, this article is my real and honest opinion. I do NOT think the bundle is right for everyone. However, some of you are going to buy the bundle and love it. So I’m including my affiliate link in case you decide to buy it. If you decide the bundle isn’t right for you and you move on with your day, yay! I’m glad I could provide some information. Despite my affiliate link in this article, my only desire today is to give you the information so you can make an informed decision that’s right for you. I don’t want you to get caught up in the fact that this deal is only around for 2 days. Make the decision that’s right for you. So, is the bundle worth it? Maybe. Some people LOVE the bundle. They buy one every single year and it’s their very favorite resource. For others, it’s not ideal because it’s not the right bundle of resources for you and I’ll explain more about that below. My super special bonus just for you! I wanted to make sure you saw this – IF you decide to purchase the bundle this year, I really want to help you make the most of it – so I’m offering a FREE video training for everyone who purchases the bundle. You see – the bundle itself contains almost $3,500 worth of products for under $30. WHAT? Just reading that sentence overwhelms me a little bit. But I know that even the thought of sifting through all these resources can be overwhelming. That’s why I’ve gone through all the resources and throughly vetted them for you. So if you purchase the bundle, then join me for this free training where I will be going over how to make the MOST of this bundle, which resources are really worth it, and which bonus offers are worth the price of shipping. First, what IS the bundle? And it IS important to note that the bundle is only available for a few days, until Tuesday November 6th. Okay got that straight? (One big bundle of 129 homemaking resources that are normally almost $3500…for $29.97). So, is the bundle right for YOU? Let’s try and figure that out. This is the first thing I want need to address. Let’s get real with each other for a minute: Are you struggling? Are you just barely getting through your day? Are you in a season of newborns? Of working outside the home (or inside the home!)? Are you homeschooling? Are you desperately trying to figure out how in the world you are just going to make it to the end of the week? I have so been there. Having five kids un four years will do that to you! Might I suggest something if you are living in survival mode? Just ignore this bundle. Let it go. Unless something like this would be FUN and ENJOYABLE to you to go through and might give you a little hobby to enjoy…just let it go. There will be other years, there will be other bundles, there will be other resources that might be more manageable during this season. These are just a few of the resources in the Faith category – these are several Bible Study resources that would cost $89.99 by themselves! See that FB post from above? In my book club Facebook group 2 years ago, some of the gals had questions about the bundle (which is what ultimately inspired this post) and I was sharing that I don’t necessarily think the bundle is for everyone. Mia said something that hit the nail on the head. You see, we don’t like to miss out on amazing deals. We may see this bundle and know that the $30 price tag is pretty incredible for what is inside – but like we said above, maybe it’s not the right season or the right time for you. These are 6 of the resources in the self-care category. In particular it includes a fitness class normally worth $49.95 AND a FUN looking course for readers on using Instagram to connect with other readers and find new books. How fun! Do you see something SPECIFIC you like? Okay this is where it gets down to the heart of the bundle: When you go look through the different resources, is there something or several things you are interested in? You see – Mia from my example above – said she doesn’t have time to read all the eBooks in the bundle (I mean, who does right??). But she did say she would really like some of the cookbooks so maybe she should look into purchasing them separately. So I was curious what that would be just to purchase the cookbooks normally. So I calculated the normal price for all the books – and you guys – it came out to $284.85!!!!! If you went to Amazon or the author’s websites and purchased each of just the cookbooks on their own, it would be nearly almost $300! (This includes a $49 course on bread making – this is at the top of my list to go through)!! So my advice to Mia was, depending on how many she was interested in, it might totally be worth it for her to purchase the bundle – even if she ONLY cares about the cookbooks. And check out the meal planing section – there are some great printables in this section! So head over and go check out all the resources in the bundle – if only four or five resources really stick out to you – it is probably still worth it. If you don’t see much that really interests you or sticks out, then feel free to move on knowing the bundle isn’t right for you! Verdict: If there are a few specific books that look good to you (or an entire section like the recipes or self-care) – then the bundle is probably a good deal for you! If you don’t really see anything that grabs you – then move on and don’t worry about this year’s bundle. Do you HATE reading eBooks? If you love reading eBooks (you love how easy and convenient it is to carry around tons of books at once), that you can easily read while you are nursing, etc then of course, you will simply love this bundle! I mean, go order it right now (but you probably already did). But if you are like me, then you really need to think about this one. Will you purchase this bundle and then never ever make the effort to get the books out? Will they sit on your computer, never to be touched? SIDE NOTE: Even if you don’t prefer eBooks, this year there are a TON of printable resources, eCourses and bonus items. Even if you don’t crack open a single eBook, I think the other items are STILL worth the $29.97 price tag…just something to think about! I tend to do a LOT more with all the other resources including, not just the eBooks. This is where you need to have a heart to heart with yourself. Can you commit to trying it out this year and using them? In our FB group we were having that discussion. Someone said that they purchased the bundle this year and that she made a spreadsheet because she wants to be able to track all the books (so smart!) and that if she doesn’t use the bundle well this year then she will know NOT to purchase it next year. See? God has hard wired us all so differently! What a beautiful thing! Some of you may purchase this and never do a thing with it. Others like Chantel, are so in love with the bundles she gets it every single year! How fun!! P.s. Please don’t get overwhelmed at this step. The bundle isn’t intended to be used 100%. You are not meant to go through all 100-something resources. If there are 3-10 resources that really hit home with you – then it’s a job well done! Verdict: If you think you will be able to put the resources to good use – by all means, go get your bundle! However, if you know yourself and that you will never ever dig into the courses, printables, or ebooks – then move on, it’s not right for you! Did you see the bonuses? Okay this is what has been the game changer for me this year. The last two years, I didn’t find the bonus items as all that impressive. But this year? They rock!! I already ordered AND received 6 of the bonus offers and it was 100% worth it. In my opinion, the 2018 bundle is worth the price alone just for the bonus offers! It’s something to seriously consider for this year. Okay, if you don’t want to read allll the way through this long post, or just want a summary, what’s the bottom line? For some people, the bundle isn’t right. If you are really tight on money, if you hate reading eBooks, if the format and amount overwhelms you so you won’t ever read them, if you are more of an auditory learner (but the eCourses don’t appeal to you), etc….then the bundle probably isn’t right for you. If you do like reading eBooks, or need some more digital cookbooks, or love taking courses and listening to audio sessions, then this bundle is totally worth it! I wanted to be very open and honest in this article with the pros and cons, but if after reading this, you are still excited…then I think the bundle is actually probably right for you! My personal verdict: It’s a winner for me this year! I’ve personally not been super excited about the last two bundles. But the combination of printables, recipe books, eCourses, and the bonuses has made the 2018 bundle a total no-brainer for me! I’ve got my copy and think it’s 100% worth it this year! (But that’s just my personal opinion)! I wanted to make sure you saw this – IF you decide to purchase the bundle this year, I really want to help you make the most of it – so I’m offering a FREE training for everyone who purchases the bundle. You see – the bundle itself contains over $3,500 worth of products for under $30. WHAT? Just reading that sentence overwhelms me a little bit. How can you possibly utilize over 100 different products? And is it even worth it? You will probably not use all 129 items inside the bundle. But that’s okay! Even if you take advantage of 5-20 of them, it can be an incredible deal! But I know that even the thought of sifting through all these resources can be overwhelming. That’s why I’ve gone through all the resources and throughly vetted them for you. So if you purchase the bundle, then join me next week for this free live training where I will be going over how to make the MOST of this bundle, which resources are really worth it, and which bonus offers are worth the price of shipping. Sign up here and you will get an email within a few minutes to be able to view the free training video!! P.s. This was already do long but I HAVE to mention this last thing. I am an author in the bundle this year which means one of my products is in it. This year my Goal Setting for Greater Purpose and Balance in Your Home is part of the bundle and in out store, we normally sell this course for $29.95 on it’s own!! So even if you were just interested in my course, the bundle is totally worth it for the few extra resources you are interested in. Honestly, this is the #1 reason why I think the bundle is such an incredible deal this year!! So go grab your bundle this year and you will get immediate access to my comprehensive course that is Gospel-Centered, Grace-Filled, and Goal-Oriented.